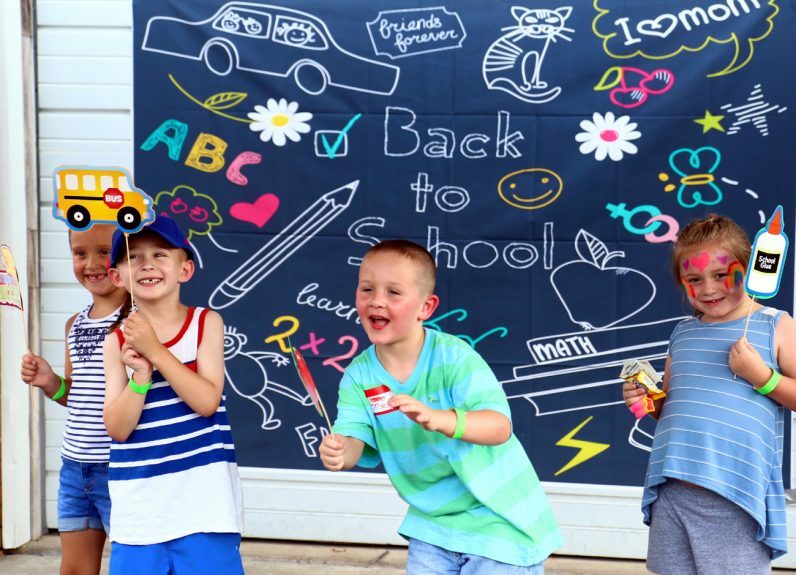 Giana Forte, Luigi Krecko, Joseph Tollok and McKenzie Huggard have fun mugging for the camera in the photo booth at the Welcome Back to School Picnic Aug. 12 at St. Ephrem School, Bensalem. In just a few short weeks many thousands of children from throughout the Archdiocese of Philadelphia will be trudging back to school or starting their education at parish or regional grade schools or high schools within the five counties. Actually today they mostly don’t trudge, they ride, but it is still pretty serious stuff for them. But it doesn’t have to be that serious all the time. St. Ephrem School in Bensalem set the tone for the coming year with a brand-new preliminary event that was held on Sunday afternoon, Aug. 12 to really get the ball rolling on the upbeat. The Welcome Back to School Picnic was a glorious success, and even the weather forecasters cooperated — the predicted showers didn’t happen and it was a lovely summer day. The low-key event included such activities as face painting, a photo booth, games and dancing, along with ample donated refreshments of typical picnic favorites: hamburgers, hot dogs, cupcakes, ice pops, cakes and chips. Most of the families have been with St. Ephrem for years, but not all. If he was looking for an endorsement he might have talked to Aaleyah Taylor, who was volunteering at the face painting stand. Frankie Altieri, who is going into fourth grade, admitted she was a bit nervous because this year she will have a new teacher, but she’s been at the school since kindergarten and has enjoyed it. Someone who never attended the school but has a great interest in it is Msgr. Kenneth McAteer, St. Ephrem’s pastor. And everybody at the picnic seemed to be doing exactly that. 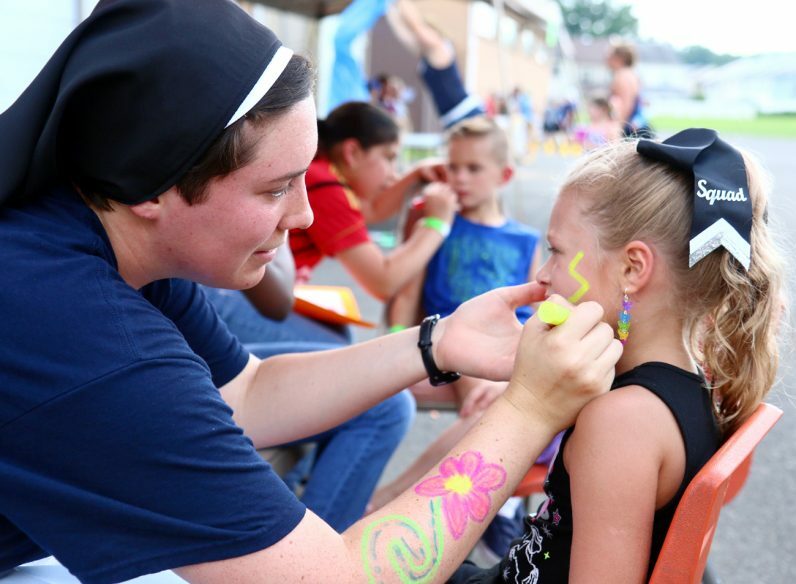 Sister Amanda Russell, I.H.M., seventh and eighth grade teacher, paints the face of first grader Juliana Conti.